As every year, this time we also have something for those working from the ground. 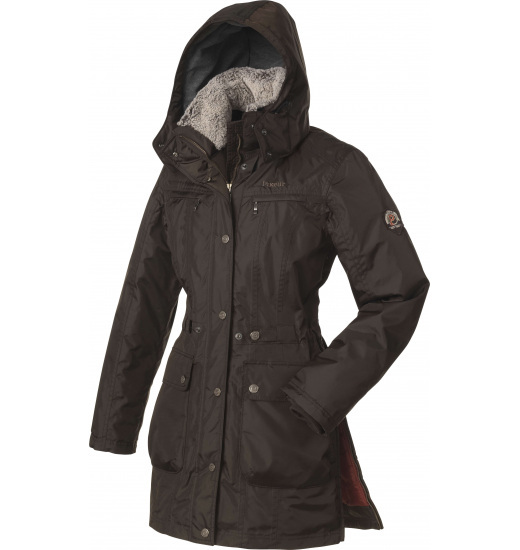 Extended rain jacket reaches the mid-thigh, is padded and has a long side slits with zippers, so if necessary you can get on the horse in it. Strong material from which Agenta is made will make, even with daily use, it serves you many seasons. 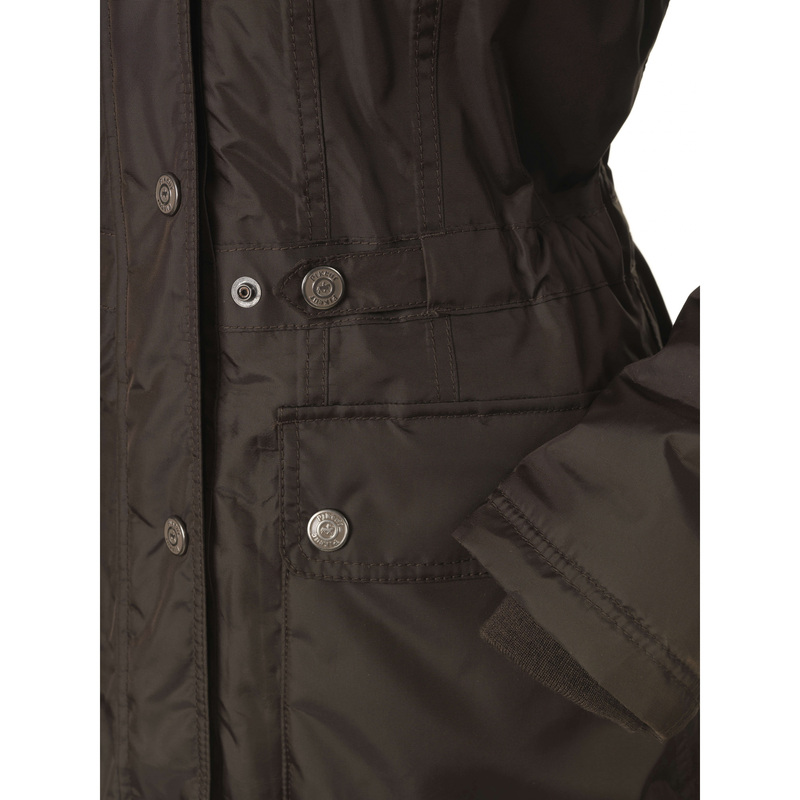 Soft fur on stand up collar is removable, waist adjustable, and sleeves have a, protect against wind, inner cuffs. Agenta is only available in chocolate with a beautiful maroon lining.